Zack Snyder is still annoyed at all the people who were annoyed by all the people who died in Man of Steel. The director of Batman v Superman: Dawn of Justice still has to deal with fans who were upset or shocked at the collateral damage which resulted by the battle between Superman and General Zod at the end of his film. Snyder finds this interesting considering one of the most popular movies ever made, Star Wars: The Force Awakens killed off a lot more people than he did. In an interview with the Wall Street Journal, Zack Snyder talks about an exchange that he had with somebody who could not think of a recent film that contained the collateral damage of Man of Steel. This was apparently a very recent conversation, as the director thought of a very recent movie that actually had a huge civilian body count. I went, 'Really?' And I said, 'Well, what about [Star Wars: The Force Awakens]?' In Star Wars, they destroy five planets with billions of people on them. That’s gotta be one of the highest death toll movies in history, the new Star Wars movie, if you just do the math. We can’t really argue with Zack Snyder on this one. 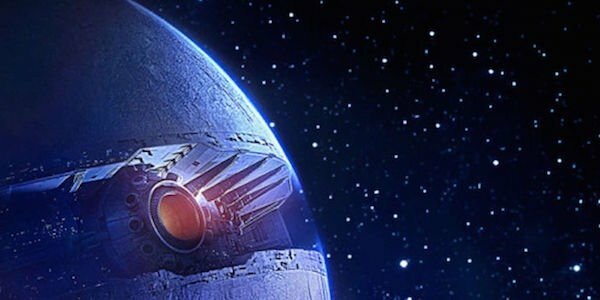 Starkiller Base blows up multiple planets in Star Wars: The Force Awakens. While we only see a few people on one of the planets, we have to assume that each one has a significant population. Even if each only has millions of people instead of billions, that’s a lot of millions of dead people. If we’re simply doing the math, then Star Wars wins. Or losses. Yeah, probably losses. If we wanted to pick at nits, we could point out that the Starkiller attack isn’t quite a one-to-one comparison. If we’re talking strictly about civilian body counts, then yes, Star Wars: The Force Awakens has more, but it’s not really collateral damage. It’s a direct attack. The fight in Metropolis is a fight between two people. Zod never attacks the civilians directly... well, until he tries to laser beam that family to death. He fights Superman, but other people die as a result. That’s collateral damage. If your problem with Man of Steel was the number of civilians that die, then Zack Snyder makes a valid point. If your problem with the movie was the number of civilians that die because Superman punched a guy into a building, then it’s a different argument. What do you think? Do you think Zack Snyder is right or wrong? Or, do you just wish we’d stop talking about this? Somebody go figure out what movie has the highest civilian body count ever and let us know in the comments.